Motorcycle race engineers are rarely household names but one exception to this general rule is the legendary Arturo Magni. Born in Usmate Velate, Milan in 1925, Magni started his motorcycle career in 1947 in Gilera's racing department. The Arcore factory had decided to return to Grand Prix racing, and Arturo Magni was employed assembling the new four-cylinder engine designed by Piero Remor, co-creator of the pre-war OPRA and CNA Rondine fours. Gilera would go on to win six 500cc World Championships with this engine, courtesy of Messrs Duke, Masetti and Liberati. In 1949 Count Domenico Agusta tempted Remor away from Gilera to design MV Agusta's first four-cylinder race engine. Magni followed him in 1950 as chief mechanic and later managed the racing department during MV's Grand Prix 'golden age'. At the height of its powers the Italian team could command the services of the world's finest riders, among them Sandford, Ubbiali, Surtees, Provini, Hailwood, Read and Agostini, and under Magni's direction MV won no fewer than 75 World Championships. After more than 25 years at MV, Magni moved onto the next phase in his life; starting the Magni company which would go on to produce trick versions of (mostly) MV's existing street models. He took the 750 motor out to 861cc and sold those. 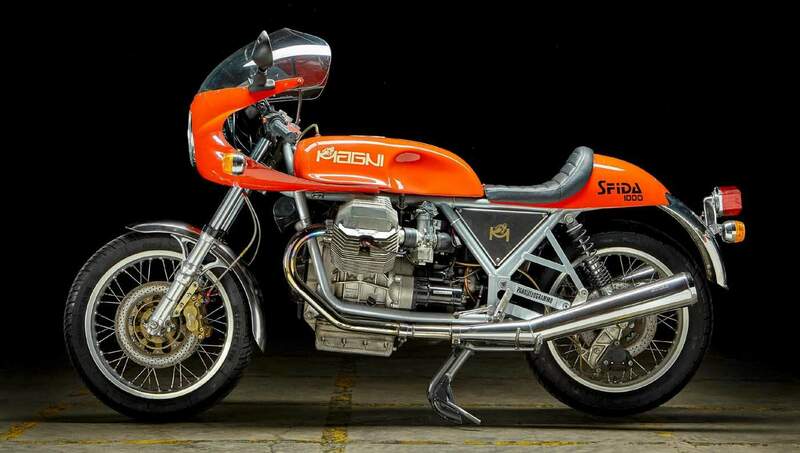 Eventually Magni made its first chassis – a chrome-molybdenum and tig-welded steel tube frame - to house a modified four-cylinder MV engine. 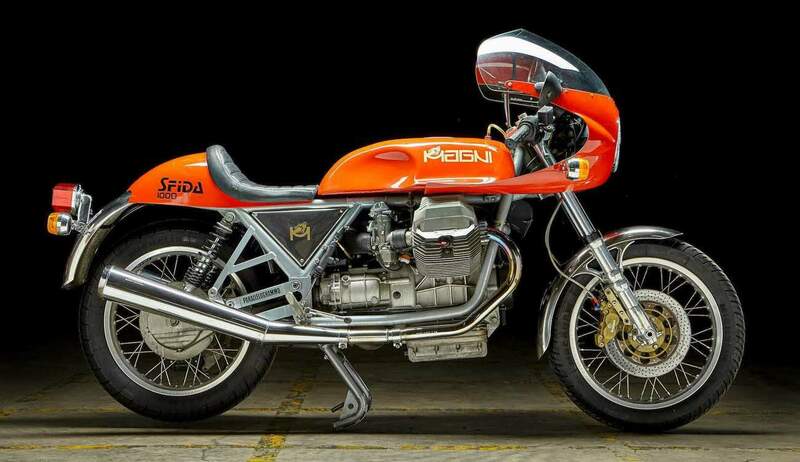 Magni then moved on to Honda-four based machines before setting his sights on BMW's big boxer engine, then Suzuki's big fours, and then set his focus on his near neighbor Moto Guzzi. The first such model was the Le Mans, which incorporated Magni's own parallelogrammo rear suspension devised to eliminate the torque reaction associated with shaft-driven motorcycles. 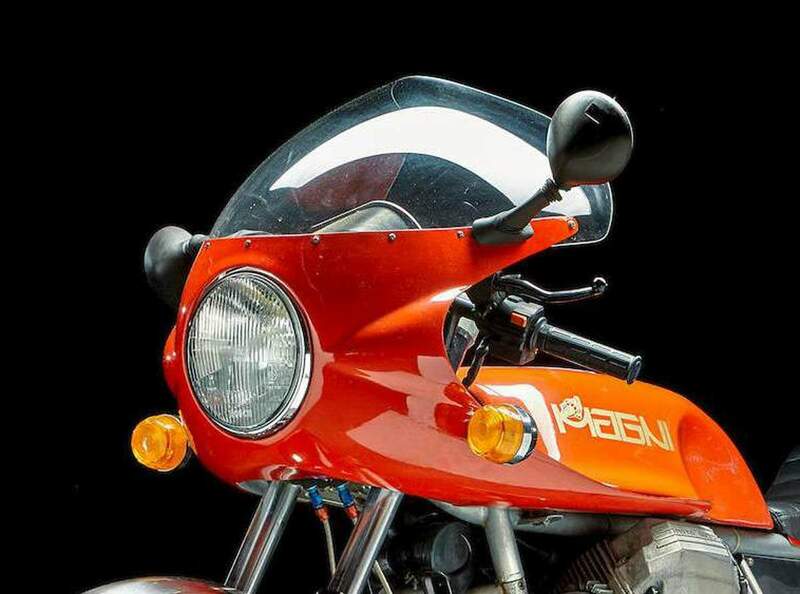 'Retro'-styled Classico 1000 and Arturo 1000 models followed, and then in 1989 Magni introduced the Sfida 1000 (Challenge), the style of which recalled that of Italian racing motorcycles of the 1960s as had the Aruro before it with a small round fairing and hump seat. 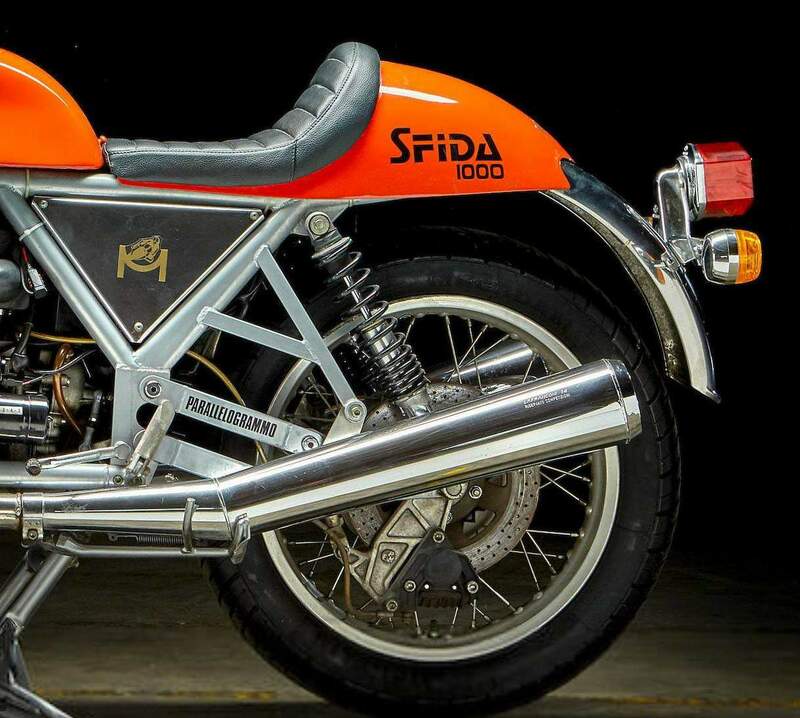 The Guzzi 1000 – or big twin – used in the Sfida is an air-cooled, two-valve, carbureted overhead cam transverse v-twin of 948.8cc with shaft drive making something around 90 horsepower at around 7,800rpm. Add the Australia model, almost simultaneously with the Sfida, and Magni would continue refining his Guzzi-based specials through 2013.